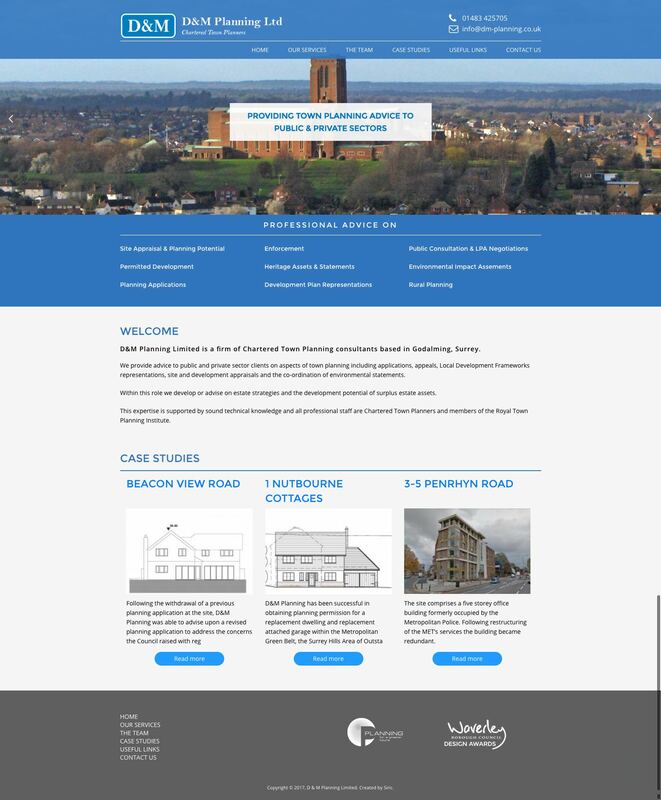 Following some great advice and ideas from Simon, we now have a modern, responsive website that is an asset to D&M Planning. 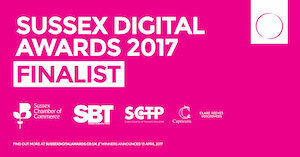 A job extremely well done! 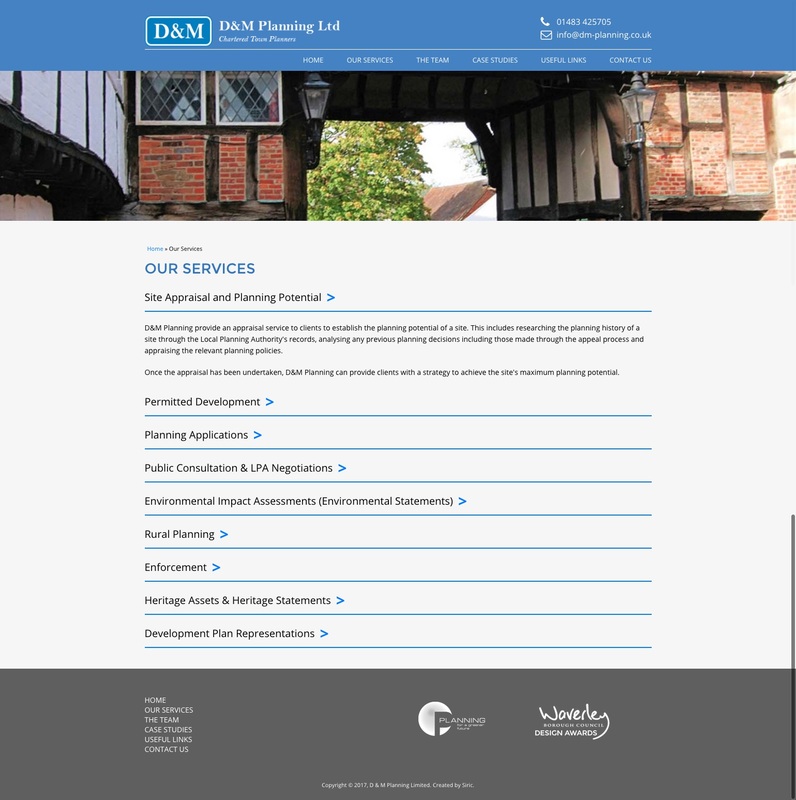 D&M Planning Limited is a firm of Chartered Town Planning consultants based in Godalming, Surrey and as part of an overall programme to maximise their use of new technology they approached us to commensurately enhance their digital profile. 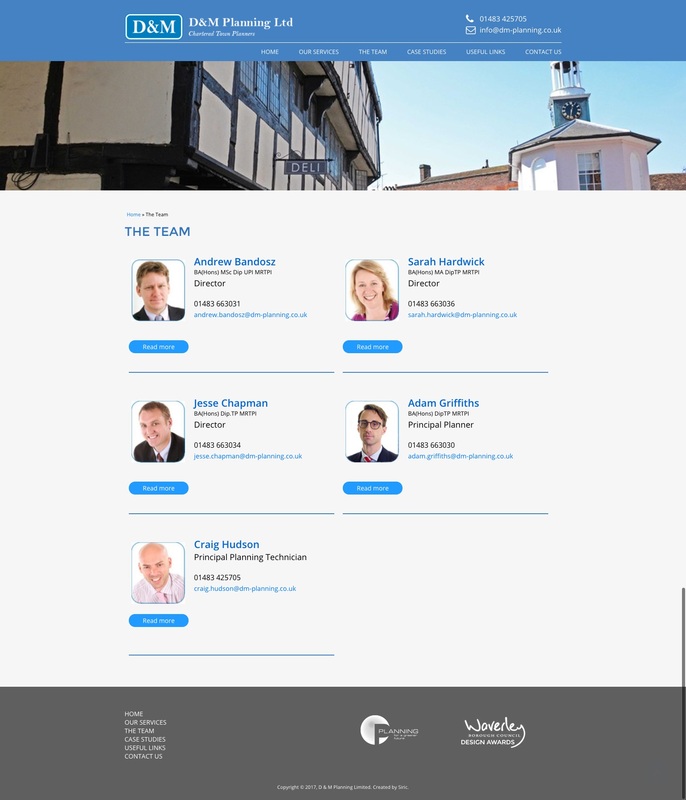 The result is an impactful, clean, responsive website using their key corporate colour of blue to best effect. 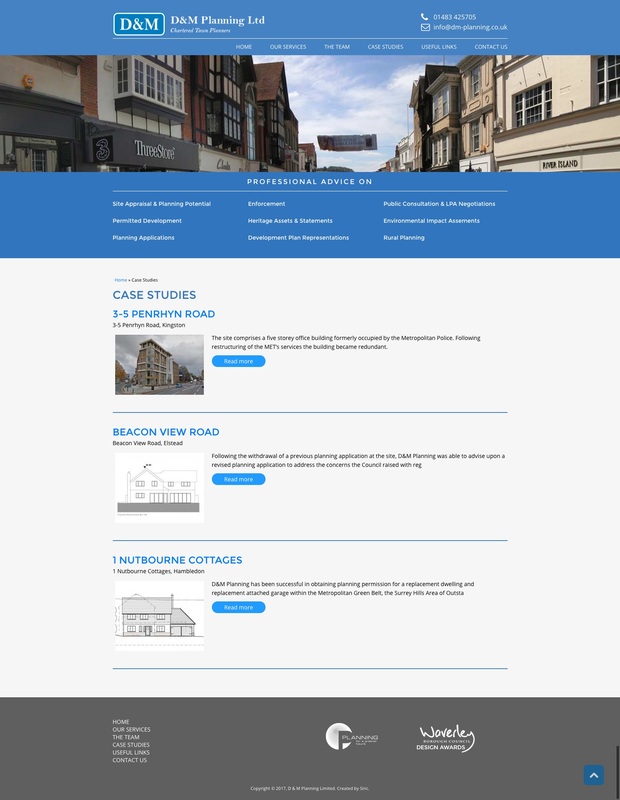 In addition, the site allows staff to upload details of successful applications providing existing and prospective clients useful reference information on how D & M can assist them with what are quite often complex planning & legal issues.